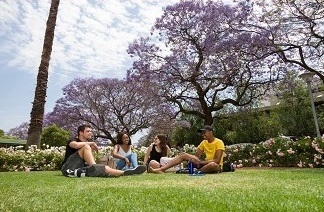 Welcome to Tuks, the University of Pretoria, and congratulations on choosing UP! Everything can seem a bit overwhelming right now, so take a moment to familiarise yourself with the programme for all the different faculties on the Orientation Week webpage. You can find more tips on how to make a success of your journey as a student and how to balance your workload here. Orientation week is compulsory for a very good reason! During this week, you will learn about all the different options and avenues for help and support that UP has especially for you. You will get all the tools and skills you need to navigate your UP journey right up until you graduate and become part of our alumni family. We are one of the largest universities in South Africa and our vibrant campuses are always a hive of student activity – and it’s going to get even busier when the senior students return next week. At UP, we take every effort in ensuring that you have all the resources you need to make your dreams and goals a reality. We provide a very high quality of teaching to ensure that you can learn effectively, but we also ensure that you can always find extra notes and additional resources online, or learn by applying your knowledge through assignments, practical work and community volunteer work. Be sure to pay attention to all the tips given during Orientation Week on how to manage your time and plan your studies. Choosing the correct subjects (where applicable) and maintaining a good average while working consistently will help to ensure that you graduate on time. This means that as a first-year student in 2019, you will be graduating from a three-year undergraduate degree in April 2022 or a four-year undergraduate programme the following year. Your degrees are designed to be completed within the time frames allocated to them, but it is up to you to work consistently to ensure that you reach the required academic goals. Each faculty has its own Faculty Student Advisors, who are on hand to guide your academic success and provide the assistance you need to help yourself along the path to graduating on time. As a UP student, you will have access to our work-readiness and entrepreneurship training, which will equip you for life beyond university. Undergraduate and postgraduate students have access to state-of-the art facilities, laboratories and libraries across all our faculties. It’s important that you attend the library training programme and attend anti-plagiarism training. You will be using these skills within the next few weeks for your assignments and research projects, and will need them for the rest of your academic journey. We’re all here to help you. If you feel lost, unsure or overwhelmed, you’re not alone! Ask someone for help or assistance – even if it’s finding directions to a lecture hall or venue, or some direction on an administrative process. Most senior students, lecturers, tutors, faculty student advisors or support staff will be able to guide you in the right direction – and we’re all here to help you. If you need specific help, keep this list of numbers from the Department of Student Affairs handy. Everything that you do in the present has an impact on your future, so make today matter and make the most of learning all about your new environment this Orientation Week!